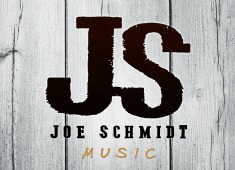 To Nominate "My Field Of Dreams" by Joe Schmidt for the ND Music Awards for Favorite Music Video and Favorite Original Song. 2) Click on the logo that says "Click Here to Nominate your Favorites!!" 4) Type in "My Field of Dreams' by Joe Schmidt for both boxes. Farm Rescue wants to share with you a song that speaks of American farming traditions! Joe Schmidt, a farmer and talented musical artist from Medina, North Dakota is donating all proceeds from his recently released song, My Field of Dreams, to Farm Rescue. This is your chance to support the altruistic and patriotic mission of Farm Rescue, while enjoying a wonderful country song. Purchase My Field of Dreams through one of the many options available on this site. Promote the song and share the music video with your friends, family, and coworkers. Stay connected by volunteering, referring farm families, through social media and offering recurring financial support. Purchase My Field of Dreams and promote the music video within your company! Tell others in your professional network about Farm Rescue’s business sponsorship opportunities. Contact us to discuss your ideas on hosting a fundraiser. Thank you for supporting the mission of Farm Rescue! "The song "My Field of Dreams" embodies the true spirit of farming and ranching traditions"
"Being able to go out and help a person in need and doing something that you thoroughly enjoy is very rewarding." "You can feel the passion and pride that Joe lives in his song "My Field of Dreams." "Words cannot express how grateful we are for Farm Rescue! What a neat way to pay it forward in times of need"
"Joe Schmidt is truly a talented and generous musical artist helping others in crisis. He is a man of integrity." Field of Dreams" as it speaks directly to those who make their living on the land." "Thank you so much for your speedy assistance in harvesting my sunflower crop, much appreciated!" "I've been fortunate in my health, and it's a good feeling to give back to somebody who may not be as fortunate." "Thank You so much for bailing me out in a time of need. Your help was greatly appreciated in giving me a helping hand with my hay crop." As a thank you gift for making a suggested donation of $10 or more, you will receive a copy of the CD Single in the mail. While supplies last!